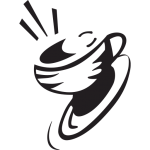 The number-one reason for coffee business failure is the owner’s inability to attract enough customers to generate a profit. In the last article we discussed how to produce additional sales and visits from your existing customers. In this article we’ll explore how to attract people who have never visited your store before. 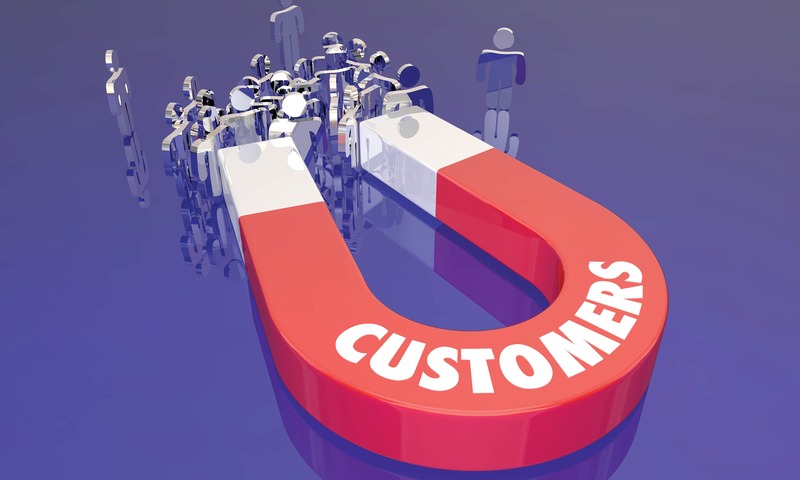 To attract new customers, you will need to market your business. I recommend using “guerilla” marketing techniques as opposed to conventional media (TV, radio, newspaper, billboards, etc.). It’s not that conventional media doesn’t work, but it tends to be expensive. Let’s face it, you probably don’t have the budget to fight it out with Starbucks using television commercials. But, like a “guerilla fighter,” you can employ creative low-cost methods to get your business’s name out into the community, and entice consumers to visit it. In reality, 90% of your customers probably live, work, or go to school within a mile of your business. This will be the area you’ll want to target your promotions to. Start by getting a map of your local area, put a dot where your store is, and using the scale on the map, draw concentric circles in ¼ mile increments around your store. Next, divide your circles into pie shaped wedges. This will create multiple sections, each being an area to market to. Start by marketing to those sections that are within your first ¼ mile circle, then systematically work your way out to those sections that are further away. Your goal is to personally distribute marketing materials to all the sections on your map. If you dedicate a couple of hours 3 or 4 afternoons a week, it might take a month or two to accomplish this. Simply visit all the businesses and residences within a section each day. I think it is important for you, the owner/manger, to be the person who does this, at least for the first couple rounds of distributions. Why you you ask? First, no one will promote your business with more passion or accuracy than you will. Second, and even more important, you’ll need to establish a relationship with your neighbors, because in the future you will want to ask them to help you market your business. For distribution materials, I like to pass out to-go menus with a coupon attached. The menu will allow people to see what you have to offer, and should include daily drink and lunch specials. Because your specials will always be changing, it will give you an excuse to keep going back to the same people to provide new information. For coupons, start off with a “free drink.” “Free” is one of the strongest motivators in advertising. I’d use this coupon for my first 2 or 3 rounds of distributions. Don’t be worried about the cost. First, only those who come in to redeem the coupon will cost you anything. And, with your most expensive drink probably costing you only $1.50, it’s actually an incredibly cheap means of getting people to visit your store. Not to mention that some of these folks will buy a pastry or sandwich with their free drink, so you’ll actually end up making some money. Years ago when I owned one of my restaurants, I spent $650 to place a one-time newspaper ad with a coupon. I got back two coupons; it cost me $325 per customer! Doesn’t giving away $1.50 sound infinitely better? After you have completed a few distributions with your “free drink” coupon, you might want to go to a “buy 1 – get 1 free” coupon. The idea is to get your new customer to bring someone with them to your store. Then, simply create coupons for whichever area of your business you want to build up. This might include running a “half price panini” coupon, or a “free appetizer with the purchase of a glass of wine or beer” coupon, or a “$5 off 1 lb. coffee beans” coupon. Enticing people to visit your business multiple times through the use of coupons will help establish a habit of coming to your store. Nothing establishes a habit like repetition, and nothing will motivate return visits more than free or discounted products. After you have established a first-name relationship with your neighbors, leverage your advertising efforts by asking them to promote your business. The strategy that will motivate them to do this, is making them look like a “good guy” or “hero” to their customers. Mock-up a coupon that predominately features their business, and that thanks customers for their loyal patronage. Then, as a reward, the coupon should should entitle them to a “free beverage” at your place! This action costs nothing to your business neighbors, and it will create good will between them and their customers. Of course, tell them that if they will do this, you will be willing to distribute any of their promotional materials to your customers in return. I think that it goes without saying, that you should only pursue this strategy with businesses you are not in competition with. Beyond what has already been covered, don’t overlook placing an ad and coupon in local dining and entertainment newspapers or magazines that are free to the public. An ad in one of these publications can cost as little as $50 to $100. Also, featuring what you have to offer on social media will also help get out the word and attract customers. Your persistence and follow-through on marketing your business will be critical to your success. Advertising is similar to exercising. You can expect noticeable results after just one or two times. You need to commit yourself to a regular routine that you execute without failure. If you do this, after a few weeks and months you will start to see meaningful benefits.